This year, the two previously separate categories of NAPE Activist and Community Volunteer have been combined since many applicants in previous years had been doing volunteer work in both areas, but could only apply for one category. outstanding contribution to their union or their community? 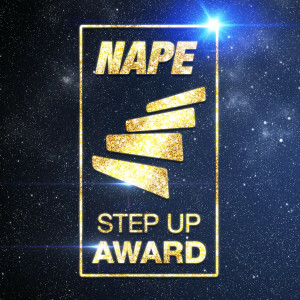 If the answer to that questions is yes, please consider nominating them for a NAPE Step Up Award. Winners will be selected by NAPE’s Board of Directors or sub-committee thereof. Winners’ names will be displayed at NAPE’s head office. Winners will also receive a plaque and a distinctive lapel pin. signed and include the letter writer’s name, phone number, and/or email address. NOTE: Nominators may also submit other supporting materials/documents (news clippings, links to videos/news stories/websites or blog posts, pictures, etc…) for consideration; however this is NOT REQUIRED.